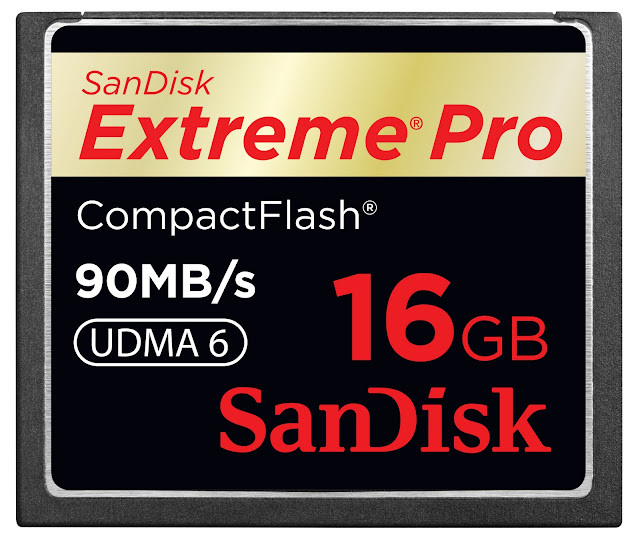 I have been shooting on Sandisk Extreme Pro CF cards since the end of September and must say it is one of those things that you don’t know you are missing and need, till you try it. I know its quite a long test period, but wanted to use the card in every possible situation before I wrote my review. Ask anyone in our industry and they will tell you Sandisk has always been synonymous with reliability, now with these cards they combine it with speed and size. I shoot on RAW and this puts extra pressure on your equipment as you can shoot less frames before you reach your camera’s buffer, because your camera needs to deal with huge amounts of data. · READ & WRITE PERFORMANCE: Up to 90MB/s (600x)* for serious performance gains. · UDMA: UDMA 6 enabled (works in all UDMA modes) POWER CORE CONTROLLERTM & ENHANCED SUPER-PARALLEL PROCESSINGTM "ESP": Was invented by SanDisk to increase the card's performance level. · WARRANTY: Backed by rigorous stress-testing procedures and our limited lifetime warranty. During these 4 months I have shot features, portraits, medical operations, Prince Charles’ visit to South Africa, hard news – riots, live performances, court and Zoo to name a few. And I have had no problems whatsoever. During Prince Charles’ visit I shot quite a lot in close succession, because it is a very important story and there is just no way that you can miss a shot and say something like: “Oh, but my camera buffered”. When photographers from international photo agencies were changing CF cards, I just smiled and continued shooting. There, not only the speed helped but also the large capacity of my cards. I can honestly say that with Sandisk Extreme Pro I have never shot my buffer full and with speed being so important in my job, both to get the shot as well as filing deadlines, it has been a breeze and I would recommend them to anybody. Try them. Feature on Andre Manders, a blind person who works in Jozi CBD. David Goldblatt at his home. Chris Rossouw, he received reanimation surgery. Prince Charles and Camilla in Soweto. Coldplay at FNB Soccer City in Soweto. National Union for Mine Workers' Protest march in Johannesburg CBD. Johan van Rensburg in his "Musiek Fabriek" studio. A protester cools of during a protest action. Alan Jack Cohen admits to stabbing his wife 16 times. Sentenced to 12 years in prison. Johan Fourie rescued Aldieno Captieux (7 months) from a swarm of bees. Johannesburg Zoo welcomes a hippo baby. Julius Malema marches in Johannesburg. Lasershow in Brakpan for New Years. Johannesburg Zoo's new Chimp enclosure. Service Delivery protests in Tembisa. Artists make ready for the Jozi Carnival.